Custom made double gate set for the Armorzone plastic waterfilled barrier. Constructed from tough galvanized steel posts and mesh, this vehicle gate provides an entry point so that workers can easily access the work area. 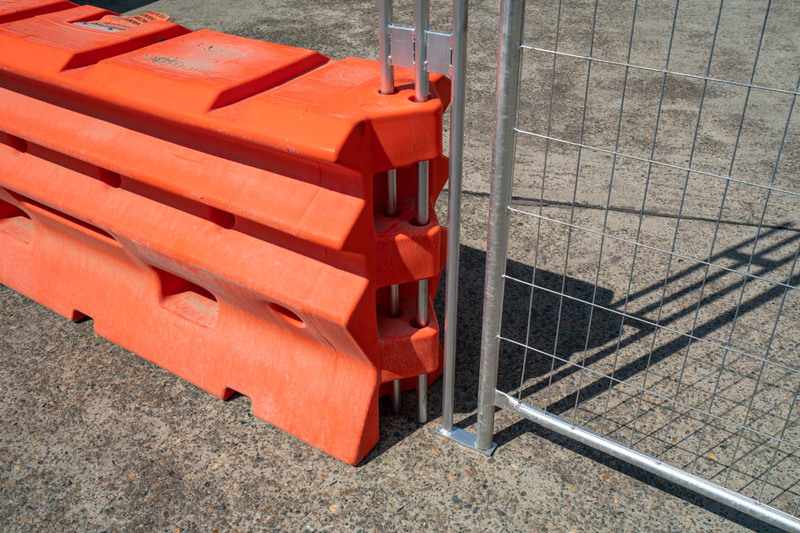 The Armorzone plastic waterfilled barrier has a unique gate accessory to allow for easy vehicle access on site. Constructed from tough galvanized steel posts and mesh, this double wide gate provides an entry point so that workers can easily access the work area. Each panel measures 2400mm long x 2100mm high, providing a 4800mm wide opening for vehicles. 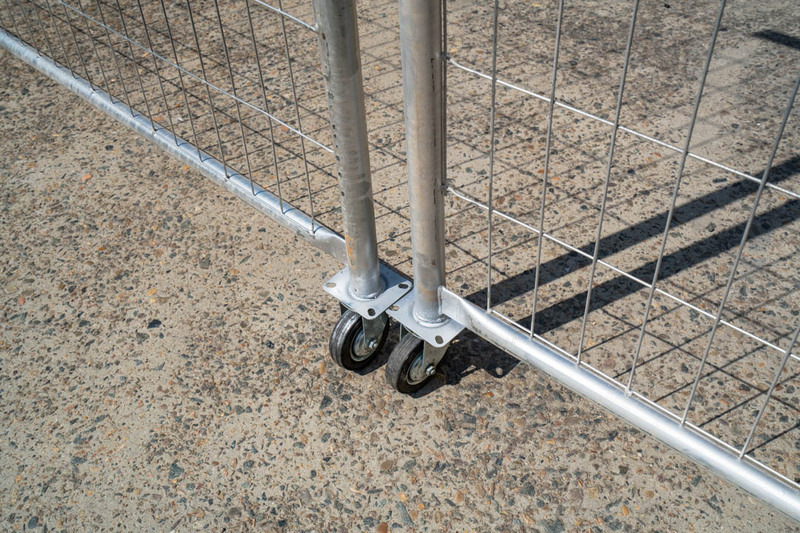 With tough, heavy duty castors welded to the tubular steel, the gates move freely enabling quick and easy site access. Additionally, the gates are constructed from 3mm galvanised steel anti-climb mesh for added site security. 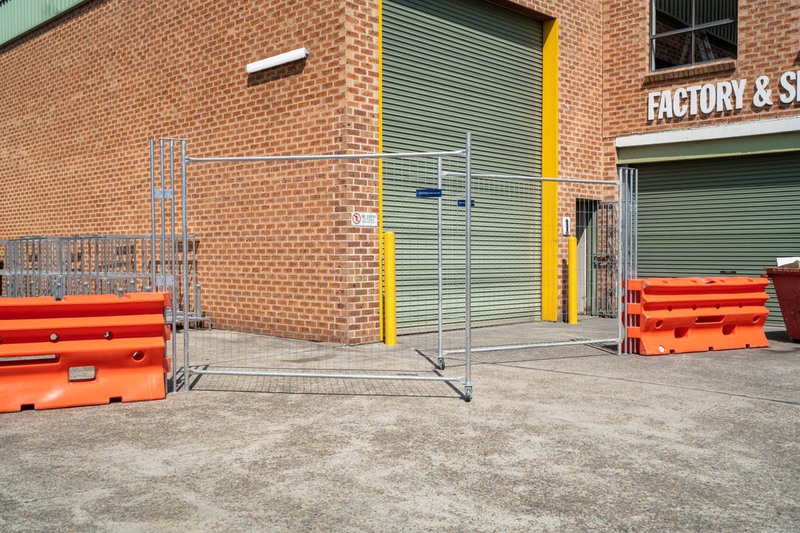 With openings measuring 160 x 60mm, the vertical mesh structure helps prevent unauthorised entry to your site. The Armorzone water-filled road barrier features moulded holes for pin connections, typically used to connect multiple barriers together. 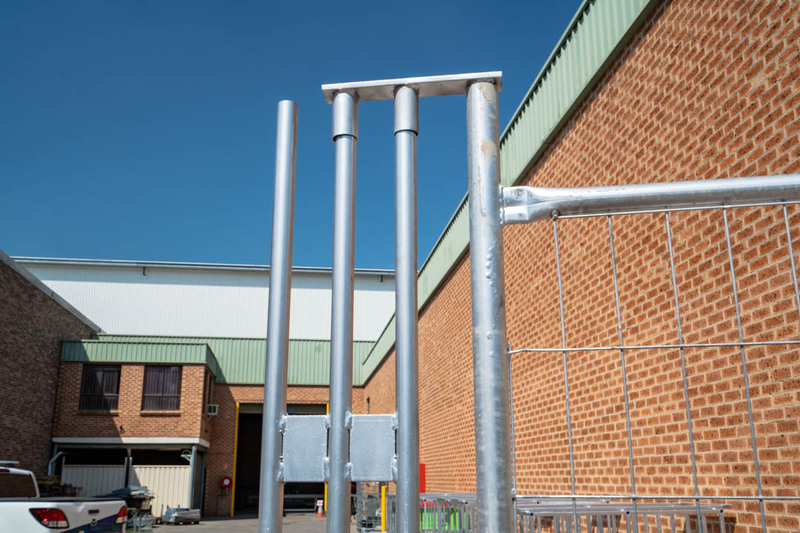 In this instance, the end terminal barrier modules utilise the pinhole for a custom made gate support pin. The galvanized steel vertical support post is supported by the weight of the barrier; filled with over 500 litres of water. When full, the Armorzone TL-2 Plastic Barrier has been tested to meet the evaluation criteria of NCHRP 350 Test Level 2 (TL-2) for a longitudinal barrier. 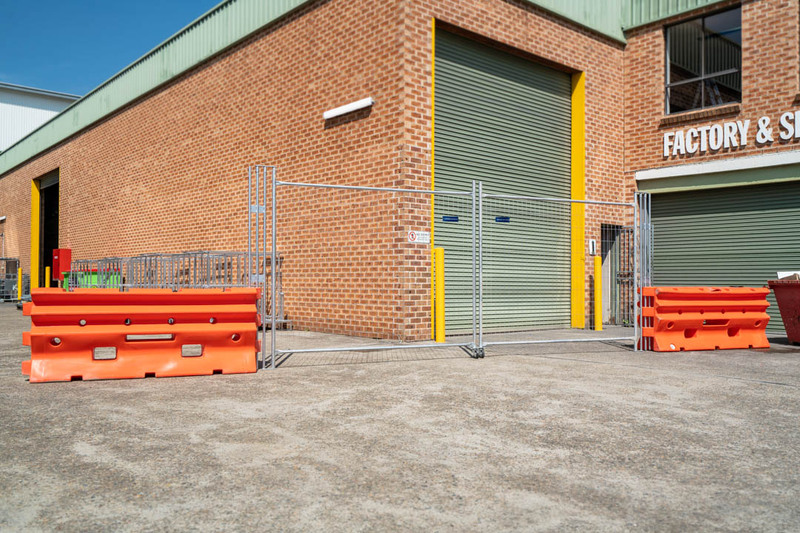 However, due to the nature of the gate creating a break in the barriers, the crash rating of the Armorzone when coupled with the gate is subject to individual site risk assessment. Note: Once gates are fitted to the Armorzone barrier its typical crash rating is subject to site risk assessment by a qualified person.